Get an edge on your competitors and international recognition with an ISO 14001 Environmental Management System (EMS). Build stakeholder confidence in your commitment to reducing your environmental impacts as an integral component of sustainable business success. Meet your environmental policy requirements and benefit from a structured approach to achieving your environmental objectives. With an ISO 14001 EMS you will cut costs and energy use through streamlined processes, lower risk of environmental accidents and achieve the highest operational standards across your organisation by means of increased EMS awareness. Choose from our range of ISO 14001 EMS training courses below. Our public courses are scheduled for a range of dates and locations. Public courses are a great environment in which to learn and interact with like-minded people from different backgrounds, giving you different perspectives on the same problems. Our public courses are available to individuals and employees from both public and private sectors. We can deliver training in any of our courses at your premises, charging by the day rather than by delegate, providing a cost effective way of training a larger group. We also customise our courses according to your organisation’s requirements. Aimed at individuals that are responsible for implementing or maintaining an environmental management system based on ISO 14001 and covers the new requirements of ISO 14001:2015. Enables delegates to evaluate and implement changes and improve their organisation’s EMS. If you want to implement the ISO 14001:2015 standard in your organisation, this course will give you the tools to adapt to the updated standard. You will leave the course with the unique electronic IEMA EMS Gap Analysis Tool. 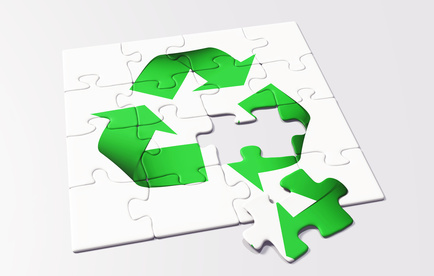 Learn how to implement the required changes to your ISO 14001 system. Review existing practices to address need for MAPPS / Safety Reports, external emergency plans etc. Our trainers are happy to discuss your needs. When you attend any of our Environmental courses, we offset the carbon emissions from all our courses including your travel and other activities using the Carbon Balanced Programme of the World Land Trust (WLT).